Welcome to a brand new article about the Sony Xperia this time. We will focus on the more than impressive features of the device, but even more importantly, talk about the best way to solve software-related problems on it. Whenever the cellphone seems to be slower, lag a lot, fail to launch applications or not respond to commands, you could solve this with a restart. 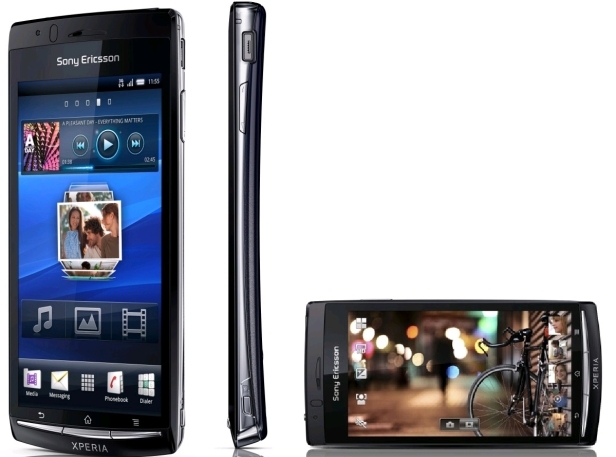 However, the best solution is still to hard reset the Sony Xperia Arc S.
The same as you would do with a computer, laptop or other Sony smartphone, this one can be restored to its default software quite easily. This is a method to use when you think that the cause of your issues is a virus. You should also be ok with the fact that all files will be erased from the hard drive. However, this is something that won’t impact you much if you made a backup before. With an 8MP camera, GPS technology, strong Wi-Fi and Bluetooth version 2.1, this smartphone came to life in September 2011. It is pretty intelligent and well-equipped given that it’s not one of the newest models from this brand. Its Android OS is Gingerbread by default, but you can always switch to Ice Cream Sandwich. There is, though, no upgrade available for those wanting to use Jelly Bean. The device also comes with a 1.2 GHz processor and GPU type Adreno 205. For the reset itself, the best is to follow the first method’s steps. This one can be performed in Power On mode, as it will be using your main menu to access all the information it needs. It’s recommended, however, that you fully recharge the Xperia phone before getting started. Tap Menu and click on the Settings icon. Click Privacy and go to Factory Reset. Read all info and tap Reset Phone. Enter the password and confirm it with Enter. Tap Erase Everything, and the wipe will begin. Once this part of the procedure is complete, the phone will also automatically reinstall the original version of the OS. The default settings will be brought back, so you will lose any personal ones, but it’s easy enough to re-do all this by yourself when the reboot is done. Turn the Power off, remove the battery and reinsert it. Press Volume Up, and then tap Power while holding both keys. Wait for the logo to appear, and then let go of the buttons. When the menu shows up, use Volume keys to scroll and Power to select the desired option. Go to Wipe Data and confirm with Yes, then follow the instructions shown on the screen. All other information will show up on the display of your Xperia Arc S during the procedure. There is no need to worry if you’re not sure which button to press or where to go next, as this method of doing the factory restore also comes with a full tutorial. Therefore, you will have all instructions right in front of your eyes.